I had the good fortune of traveling to Vermont two weeks ago at peak time for the sensational colors of the fall season. 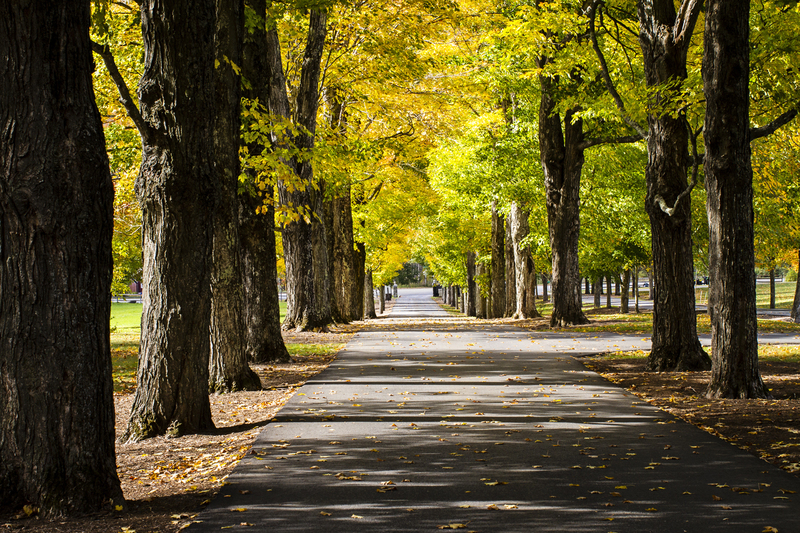 It is one thing to see pictures of Vermont; it is another think altogether when you spend time there in the fall when the leaves are turning. Add the rivers and the streams and the charming little towns along Vermont country roads and you get the experience of a lifetime.There is a lot to see from the highway as it traverses among the mountains but the real show is in the country roads where one can linger and savor the experience. I traveled on VT-14 from Barre just south of Montpelier all the way to White River Junction to the south. VT-14 runs roughly parallel to the White River in a north-south course and every so often the road passes through the middle of little towns that have been home to Vermonters for generations. In addition to the colors of autumn, there are so many interesting things to see and do: beautiful covered bridges; old historic cemeteries in the mountains; sugaring houses; chocolate and cheese; and the Ben and Jerry ice-cream factory! And by accident, I stumbled upon the birthplace of Joseph Smith, he of the Mormon Church, where today, nestled among majestic trees and well landscaped grounds, sits a monument in his honor. Great photographers have taken great pictures of Vermont but these are mine, as I remember it. Thirty plus miles northwest of Washington DC the Monocacy River empties into the Potomac River less than a mile north of Dickerson, Maryland. The entire area from the Potomac River east to I-270 and beyond and Frederick to the north, and south all the way to Darnerstown, there is a beautiful countryside with rolling hills, fertile valleys, the rivers themselves, Sugar Loaf Mountain and winding roads that take you all around the area. In Dickerson is the Dickerson Power plant and it deserves mentioning because the cooling water used in the plant is discharged through a channel into the Potomac and it is home to the Dickerson Whitewater Course. Nearby in the Potomac is where fishermen claim there is the best fishing around because the warmer temperature of the water. 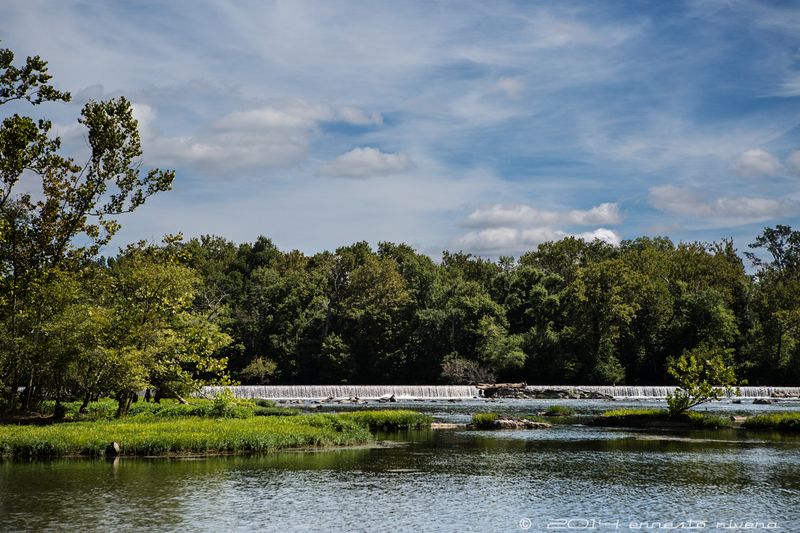 During the last two weekends I wandered around Dickerson, driving north on MD Route 28, admiring the Monocacy Aqueduct, and hiking along the Potomac River’s edge and the C&O Canal towpath. Much has been written about the C&O Canal and the Monocacy Aqueduct and both have a significant place in the history of the area. Today the C&O Canal’s towpath is a hiking and biking attraction, and for photographers like me, a place where one can always be assured of finding something of interest year-round. The old and abandoned canal is still there although interrupted in many places, but the towpath is a reminder of the canal’s importance back them when it was built and used for commerce between the port of Georgetown to the south and the Ohio Valley to the west. 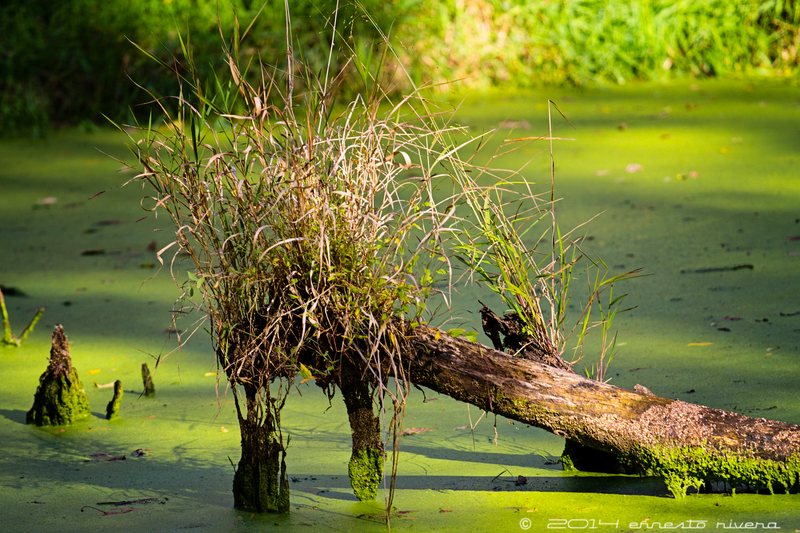 This time of the year where there is water in the canal, it is covered by a thick layer of algae, an ecosystem that harbors turtles, herons and God knows what else; and it is beautiful! At the river’s edge there are majestic sycamore trees and a grand profusion of paw-paw trees, an indigenous specie of the United States and found especially in eastern USA. So here is my haul of images of my wandering around Dickerson. My daily routine most days involves a morning walk around Kensington, MD. 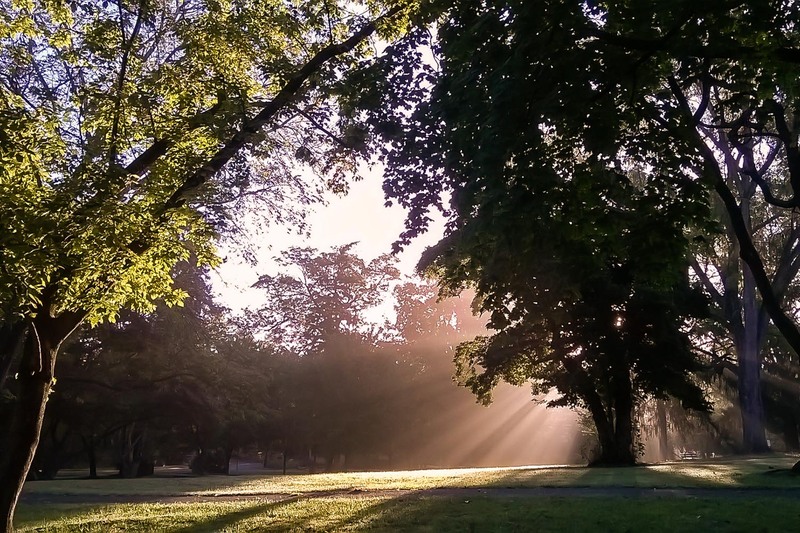 Last week, as the sun was rising behind the old mansion in the Warner Circle Park, I saw the beautiful sun rays illuminating the grounds and the trees, and with only my phone camera with me, I shot the picture shown above. It is scenes like this one that makes a morning walk a pleasure and not just a good exercise.